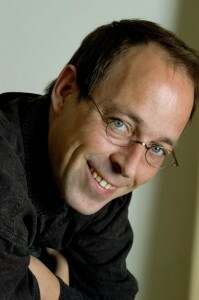 Daniel Reuss (born 1961) has been artistic director of Cappella Amsterdam since 1990. From 2003 until 2006 he was chief conductor of the RIAS Kammerchor in Berlin and between 2008 till 2013 he was the artistic director and chief conductor of the Estonian Philharmonic Chamber Choir. Several recordings with his ensembles brought Reuss international acclaim in the form of nominations and prizes. At the invitation of Pierre Boulez, Reuss taught and conducted at the summer 2006 Lucerne Festival Academy. He regularly participates in workshops for singers and conductors. Reuss has been invited to conduct chamber ensembles and orchestras throughout Europe. Among these may be mentioned the Akademie für Alte Musik Berlin, MusikFabrik, Scharoun Ensemble and the Radio Chamber Philharmonic.